Eduardo Rabel – RUSH, Inc. RUSH Construction founder, Eduardo Rabel, immigrated to America from Cuba when he was just 16 years old, as a part of Operation Pedro Pan. Rabel says that he was “born twice”: First in Havana, Cuba, and later at a refugee camp in Miami, Florida, where he lived for 7 months before moving to a boy’s home in Kentucky. He later put himself through college, married his college sweetheart, and ultimately fulfilled what we know of as the American Dream. Before starting RUSH Construction, Rabel spent 15 years working for other general contractors. These experiences inspired him to create a company that would be fun for the employees, and yet able to exceed a client’s expectations. Thus, in 1984, RUSH Construction was born. 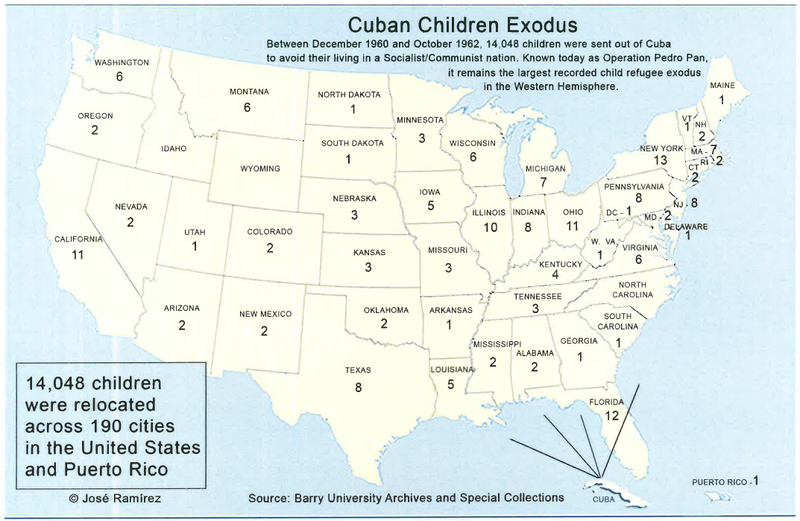 This image shows the number of U.S. cities in each state where Cuban child refugees were sent during Operation Pedro Pan (1960-1962). Ed was in Kentucky. For those interested in learning more or sharing information about Operation Pedro Pan, the Catholic University of America (CUA) in Washington D.C. works to archive and collect items regarding the exodus.